You are here: Home / Discussion / What are some good weight loss tips? I’m trying to loose some of my extra body fat mainly in my arms, stomach, and legs. What I would really love to see happen is to loose all that extra fat around my thighs. I would love to see my thighs not touch at all anymore. Are there any great exercises I could do to that have proved effective to help speed this process along? Any tips are a great help! Good question! First understand that you can’t spot reduce, meaning you can’t lose fat in just your arms, stomach or legs. 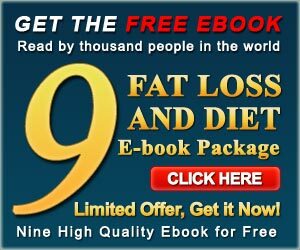 If you want to lose body fat you have to lose it all over and the best way to do that is through a combination of diet and exercise. Keep a food journal. This will give you a good idea of how many calories you’re taking in and can help you identify where you need to make changes. Avoid processed foods & diet soda. Processed foods are high in sodium and low in nutritional quality. Choose a variety of fruits, vegetables, whole grains, low-fat dairy, lean meats and healthy fats. Especially focus on the veggies! They are super low in calories and packed with fiber to help keep you full. Eat small frequent meals throughout the day & don’t skip meals. Skipping meals can slow down your metabolism and deprive you of needed energy. Eat breakfast in the morning to wake up your metabolism after a long night’s sleep. Also make sure you’re eating enough calories for the amount of exercise you’re doing. Yo-yo dieting and very low calorie diets can mess up your metabolism and prevent weight loss. Get your Zzz’s. How long you sleep can affect hormones that regulate appetite and body weight. Your body needs plenty of ‘shut-eye’ for the internal maintenance that keeps your metabolism in good working order. Drink plenty of water. Water is necessary to keep your body functioning properly. Staying hydrated helps with digestion, helps control appetite and flushes out toxins. As for the exercise portion, you’re best bet is to do a combination of aerobic exercise and resistance training. Aerobic exercise such as brisk walking, swimming or biking will burn fat and calories while resistance training will build muscle. The more muscle you have the more calories you will burn. You should aim for at least 30 minutes of aerobic exercise 5 days a week (keep in mind you may need to do more for weight loss) and do 8 to 10 strength-training exercises (8 to 12 repetitions of each exercise) twice a week to build muscle and increase your metabolism. If you don’t want to lift weights, try doing activities that use your own body weight for resistance such as power yoga or Pilates. These activities are also great for stretching and relieving stress. The key is to find something you enjoy doing so you’re more likely to stick with it!